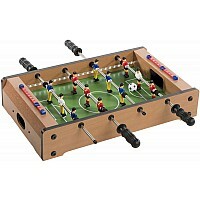 Non-stop action on a 20x12" playing field develops sharp reflexes, coordination and strategy, and it's a blast! 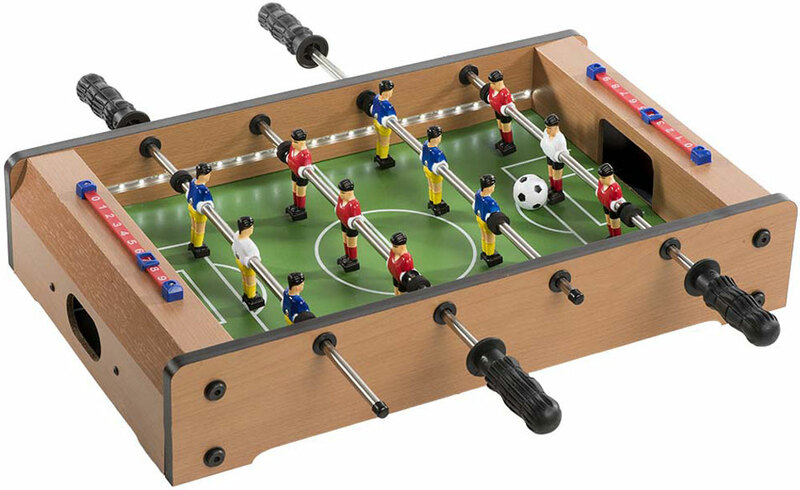 2 soccer balls included, with 6 players, flashing lights and a scooooore-board on each side. Requires 8 AA batteries.